Beginning forward is the master stateroom with a Vberth and two closets, following aft is the Main Salon with a single settee to port, locker storage under and outboard. On the starboard is a L-shaped settee with a dining table in the center. There is ample locker storage under and outboard settees, and in shelves above. Next aft is a U-shaped GALLEY followed by the navigation station . There is an aft facing chartable with bench seating and ample storage and instrument installation. 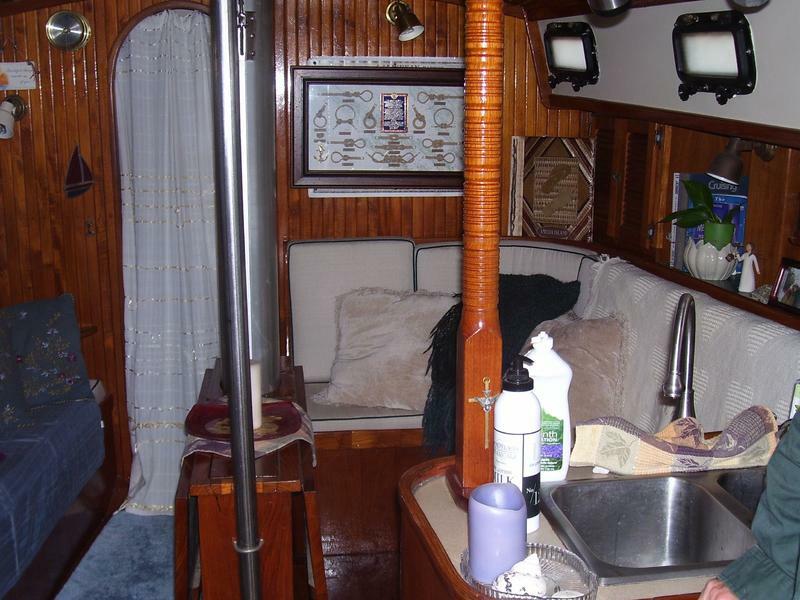 On the port side is the Head with separate shower stall. 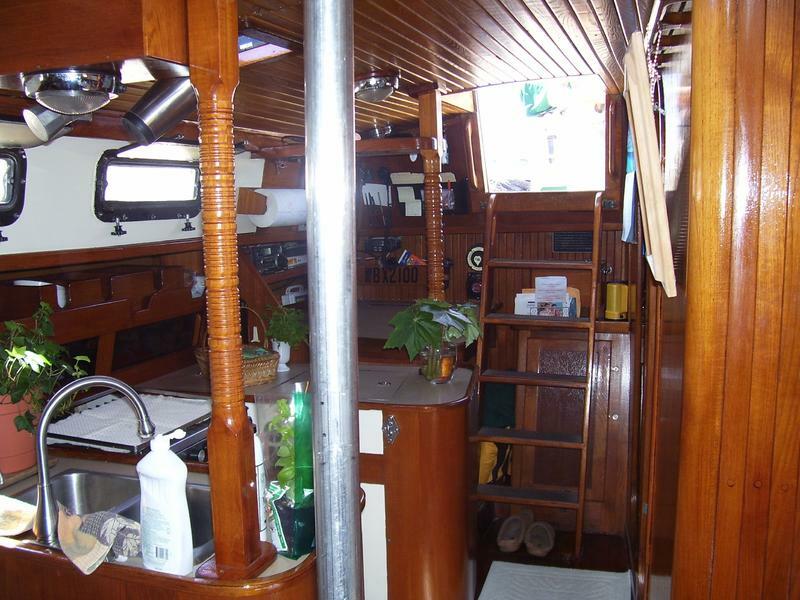 Aft (port) is the guest cabin with double berth, storage under hanging locker and drawer storage. Included are stereo with cockpit and cabin speakers. 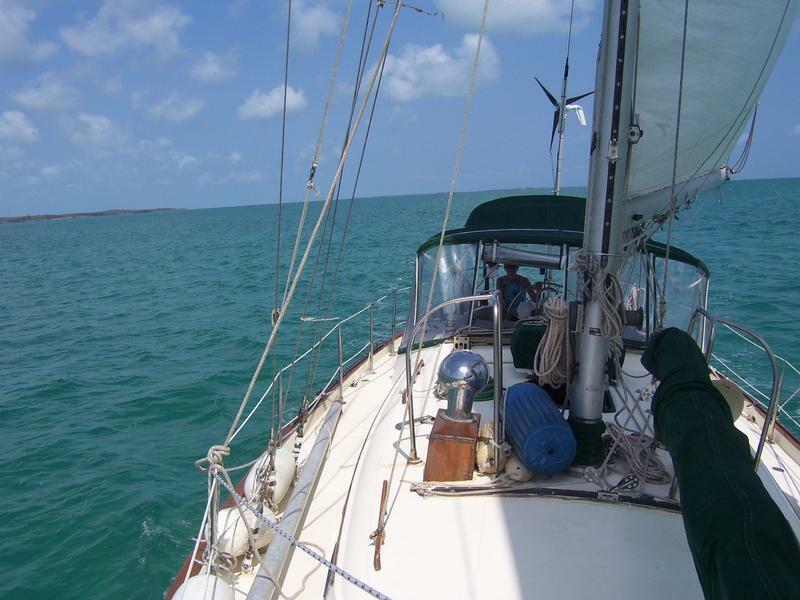 If interested come see two southern cross 39s both for sale at the same marina (at time of writing11/29.